Posted: Thursday 17th January 2013 in Retail Strategy, Thought Leadership. On 15 January 2013, Facebook co-founder Mark Zuckerberg announced the release of Facebook Graph Search. This is the social networking site’s first major step into the world of search. While an official date hasn’t been confirmed, we think the Facebook will launch their new search tool in the next couple of weeks. Graph Search signals a major overhaul of Facebook’s search functionality which has been fairly static for the last five years. All Facebook account holders will be able to use the new tool to search across all the publicly accessible data within Facebook. Users will be able to input a combination of personalised and localised operators into their queries, for example ‘Restaurants that my friends like in Manchester’ or ‘Friends near me who like go-karting’. Facebook have made it clear that anything marked private will not be visible and an opt-out is also available. In the beta phase, four main searches will be possible: photos; people; places; and a limited number of interests, although more are set to be included. Queries that cannot be fulfilled by Graph Search will be serviced by Microsoft’s Bing – Facebook and Bing are working closely together on the project. What is behind Facebook’s new product? Although Mark Zuckerberg has distanced Search Graph from traditional web search this is a significant investment in search technology for Facebook. Compelled by Google’s move into social networking through the launch of Google+, this is Facebook’s pioneering proposition for integrating search into its product. 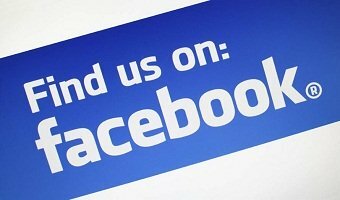 They hope it will encourage users to spend more time browsing within Facebook. And, through sponsored listings and paid ads, Graph Search has the potential to massively increase Facebook’s global revenue stream. Facebook Graph Search is not a sign for retailers to rush out and begin spending money on Facebook advertising as nothing has yet changed. Facebook advertising will still return lower levels of revenue at a poorer return on investment than Google or Bing advertising. The immediate impact is that Bing paid search results are now being pulled through the search functionality alongside the natural listings for search queries that Facebook’s database can’t answer. Mark Zuckerberg stressed that he doesn’t expect Facebook users to run off and begin performing search queries in Facebook that they have been using Google for. The reality is that due to this change Bing will begin to eat into Google’s UK market share. But at this stage there is no indication as to what the shift will be. The launch is currently based on a limited roll out (for English language users only – about 45% of users) and is expected to become more widely available in the coming months. You need to be agile and vigilant over the next few weeks and months and monitor the performance of Bing as the volume of searches begins to increase. This is just a first step into the world of search for Facebook. Getting users to perform ‘searches’ from within the interface is key if the long-term plan is to expand beyond Facebook content. We will keep you up-to-date by monitoring and reviewing Facebook’s Graph Search tool and its evolution over the coming months. Although there is much speculation around the future applications of Graph Search, we’ll be investigating the implications of the product for you and online retailing businesses.